Cups are cups…right? Well maybe not! I try not to be too fussy but when it comes to a vessel for drinking my hot choccie at the end of a long day of hiking, but my cup must be just right. Call me Goldilocks if you will but there is definitely a ‘not too small, not too large, just right’ aspect to the perfect cup. Over the years, I have experimented with a range of cups with varying degrees of success. 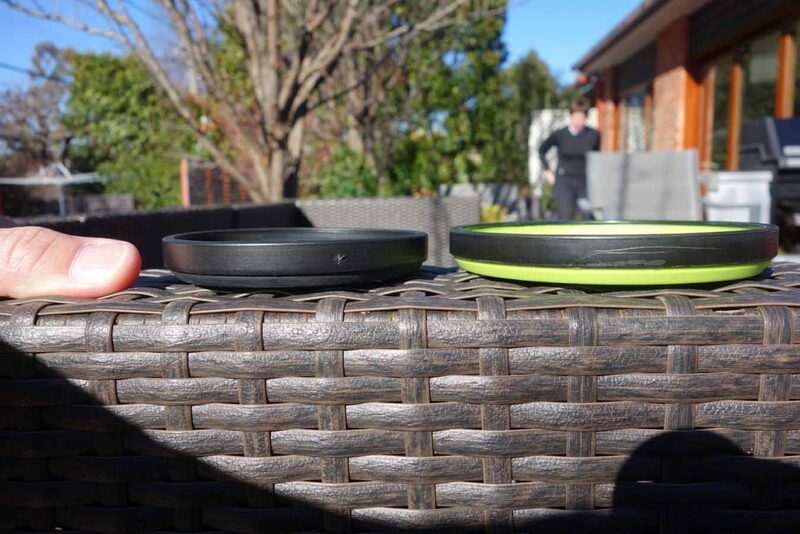 So, when Tim asked me to test out the Sea to Summit X-Cup my first thought was the X-Cup is an interesting idea but how practical is it going to be? 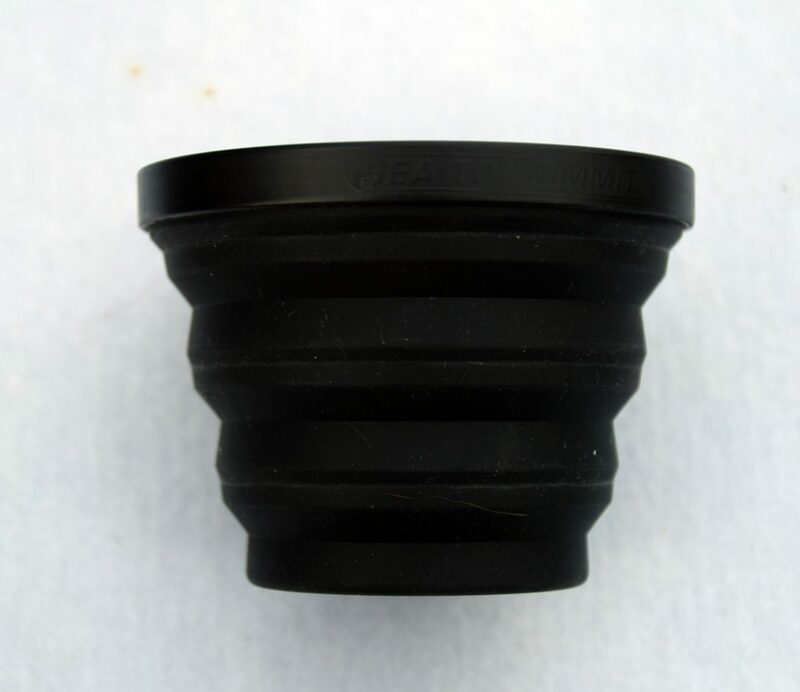 The key feature of the X-Cup is that it is constructed from a ‘flexible, European standard compliant, food grade silicone’ which means that the cup is soft to hold and easily collapses for packing. Let’s start with how the cup feels in your hand – it is indeed soft to touch and sits comfortably into a small-ish hand. 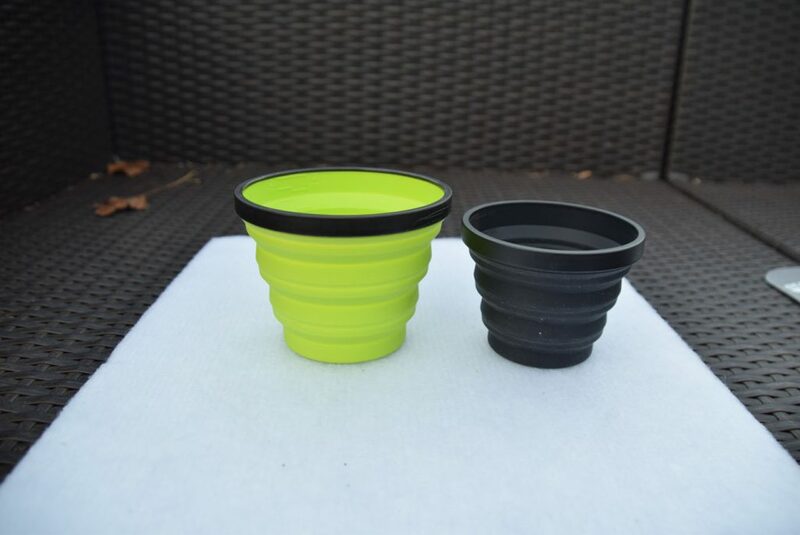 The X-Cup doesn’t have a handle so there is a tendency to grip the cup a little more tightly than usual however if you’re not careful and given the silicone construction, you could squash the cup in your hand and potentially spill your drink. This is not so much of a problem if the liquid is cold but if you’ve got a hot drink, you could end up burning yourself. The problem is compounded when you’re wearing gloves because you don’t have the sensitivity of touch needed to ensure you’re not squeezing too tightly. The collapsibility of the X-Cup is great – it folds flat to the size of your palm, and is easily packed and stored in that form. 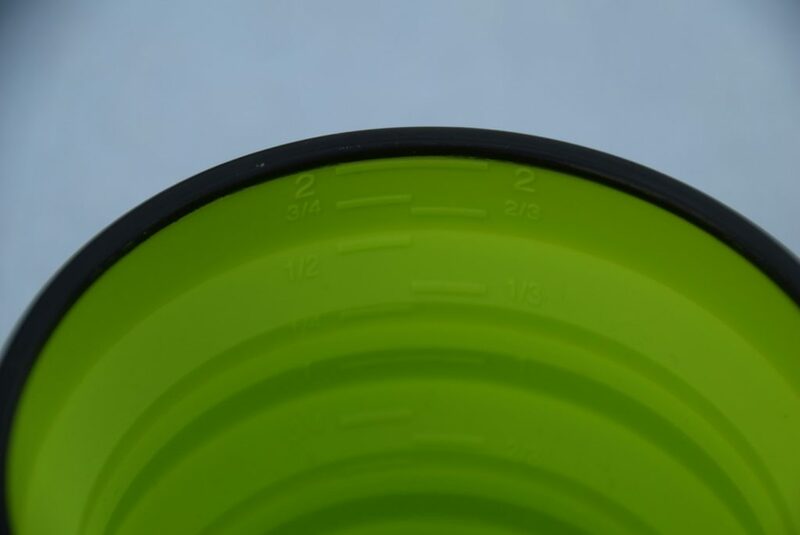 The cup rim is formed by a rigid ring which keeps the X-Cup sturdy but unfortunately it’s not the nicest cup rim I’ve used on the trail. Its functional – just a bit industrial! 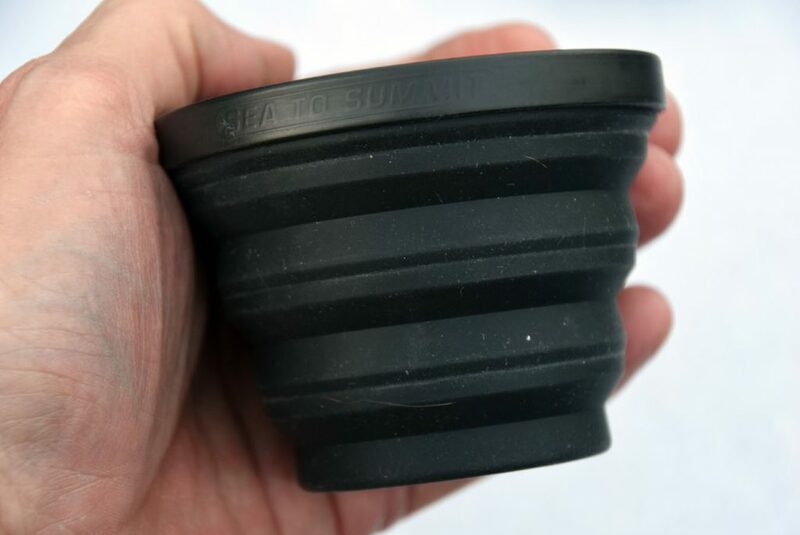 The Sea to Summit X-Cup is a great idea that solves the space issues created by cups but perhaps needs a bit of finessing to improve the ‘drinkability’ of the rim and the ‘squash-ability’ of the cup. Despite these aspects, I would use the X-Cup as it is a great way to save some space. The Sea to Summit X-Cup is available in a range of coulous including Orange, Blue, Lime and Black.